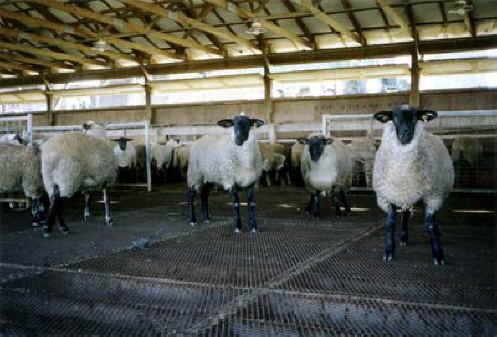 (Sheep and Lambs - Farm-01) This is a factory farm where sheep are raised indoors on a wire mesh floor, which allows the feces to fall through. At the same time, we understand, this type of "flooring" also hurts the hooves of the sheep whose feet are designed for walking on natural ground. 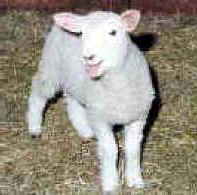 Sheep are treated inhumanely for the sake of monetary gain.